GIF Marketing: It's Time To Get Animated! Have your social media marketing posts gotten a little bland lately? Do you find that they aren’t satisfying your audience and giving them what they truly need and want? Have you noticed that your performance on social media has gone limp over the last few months? Well then, it's time to start spicing up your social media marketing life with a little magical solution called… GIFs! GIF is an acronym which stands for Graphics Interchange Format. (I bet you didn’t know that.) Pretty much, it’s a technique that allows web surfers to see a dynamic image which is actually a sequence of several different images. (Think of how animated cartoons work). Not only have GIFs become super popular on everyday social media but they have also become increasingly popular among marketers. GIFs are a fun and easy way to grab your audience’s attention, keep them entertained and leave them wanting more. In this post I will review the 3 best websites to create free animated GIFs and 3 ways you can use GIFs to level-up your social media marketing. We’ll start off the list with my personal favorite, MakeaGIF. This website offers many options to easily create high quality GIF files. MakeaGIF allows you to upload from your webcam, computer or YouTube to create animated GIFs. What’s great about MakeaGIF is that it also lets you conveniently upload and store your photos and on their website once you’ve registered to the website. MakeaGIF also has an extensive library of free, customizable GIFs which are available for download at any time. Imgflip is a great, user friendly site, it supports both images (JPEG, PNG, etc.) and video clips (MP4, AVI, MOV, etc. vi) to create GIF images. What makes Imgflip so user is friendly is that it allows you to enter the URL of the video file directly from the internet (YouTube, Vimeo, etc.) and from there you can easily create GIF images without even signing up. Editing your GIF is super easy, Imgflip uses a simple scroll panel which allows you to control your GIF’s delay time, width, height and quality. You can also drag images onto the site and rearrange the sequence before creating your final product. Although not the most aesthetically pleasing website, this free GIF animation site is super easy to use and is a great tool for any social media marketer. Picasion helps you easily create animated GIFs from your personal pictures, webcam and from photo sharing sites like Flickr and Picasa. You can also add special effects to your GIFs. Now that you have the assets to create an amazing GIF, lets review some helpful tips which will really help you improve your social media marketing. Sure you can show off your latest products in pictures, but no matter how great your picture is, it’s still static. With animated GIFs, you can actually bring your products to life! Using a GIF you can highlight the latest features or provide sneak peaks of your soon to be launched products. The possibilities are truly endless. Used correctly, a GIF can educate your audience by illustrating every step of a process, act as instructions or a go-to guide for a complex product and add a bit of humor to an otherwise boring subject. An educational GIF can showcase the features of a website or app, which are usually difficult to describe with words or static images and usually require an expensive video production. The looping aspect of a GIF is incredibly helpful when trying to educate your audience on your newest products or software updates. Looping can help your audience review a process as many times as needed until they master your newest updates. Posting a humorous picture from your office, creating a funny meme or posting an interesting article on your social media are all great ways to engage with your fans and show some brand personality. Animated GIFs can do that and more! GIFs can easily highlight your company culture and will emphasize what makes your company a cut above the rest. A GIF can also give potential partners or clients a glimpse of what it's like to work with you and use your services. *Bonus Tip: Remember, the most popular GIFs are the funny ones, meaning the funnier your GIF, the greater potential it has to go viral! 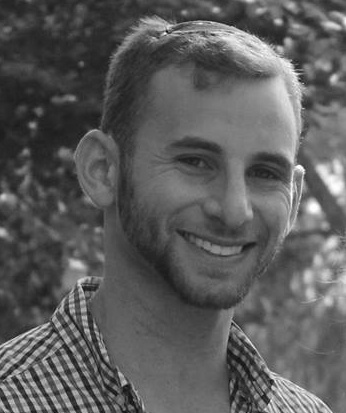 Moshe is a Marketing Analyst at Penguin Strategies. He enjoys nothing more than learning about the latest tricks of the trade in B2B marketing. In his spare time, Moshe is an avid gym rat and a die-hard Cleveland sports fan who continues to be let down by his hometown teams.